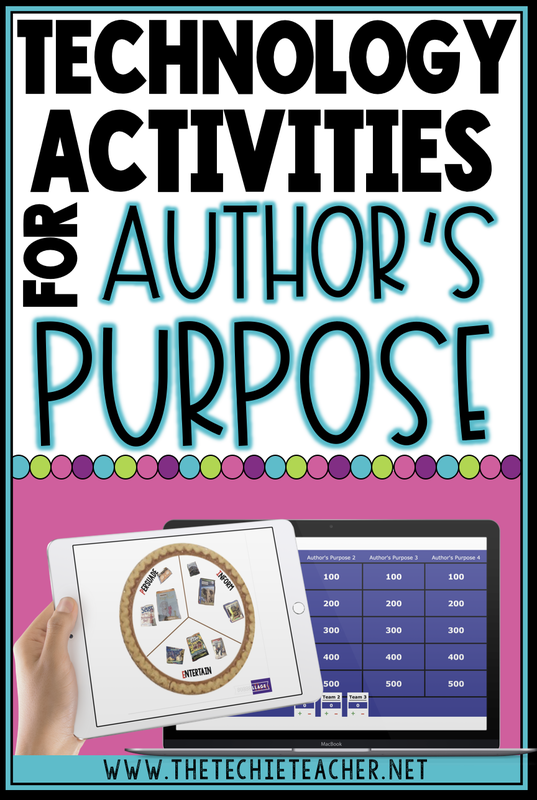 Technology Activities for Author's Purpose | The Techie Teacher® . Yesterday I had a blast hanging out with a third grade class. 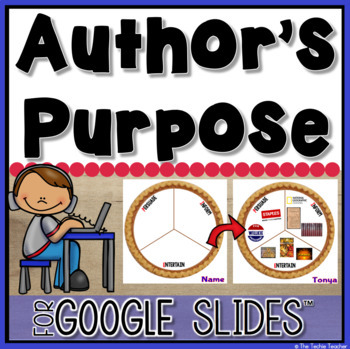 We used the iPads for an author's purpose lesson. The teacher and I collaborated with the school librarian who graciously hosted us in the library and helped pull some books ahead of time. For our activity students scanned a QR code that took them to THIS pie template I created and dropped in Google Drive. They saved it to their camera roll and imported it as a background in PicCollage. 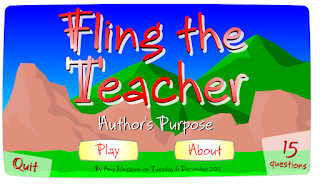 Next, students added their name to the bottom right corner of their screen. If I were to do this lesson again, I would have them add their name to the bottom LEFT. The PicCollage watermark covered up their name once they saved. Then the fun and thinking began! Students went on a picture hunt as they walked around to the different parts of the library to take pictures of different books/sources that were examples of persuading, informing and entertaining. We showed them how to use the editing tool within PicCollage to cut out the extra space around the books. Once the image was edited, students simply pinched their pictures and added them to the correct piece of PIE. Persuasive books are very challenging for students (it was hard for me too!) to pick out among the hundreds of books in the library. It helped tremendously that the librarian had pulled a few and set them out on a table. The students found themselves walking to the nonfiction side of the library to take pictures of books that INFORM. 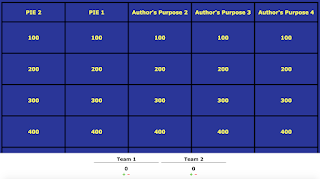 At the end of the lesson the teacher mentioned that even the younger grade levels could do a similar activity but sort books by fiction vs. nonfiction. I LOVE this idea! Students could draw a T-Chart and label it in Doodle Buddy, save and pull it in as a background in PicCollage! Don't have access to iPads? No problem! 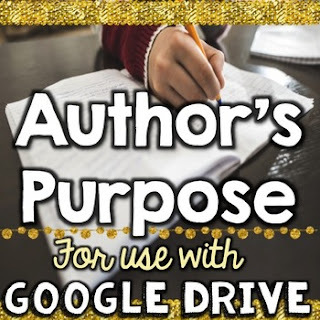 Check out a similar activity I have in my TpT store that you can use with Google Slides. Students use the Google search feature to find texts to decorate their PIE instead of going on a picture hunt. 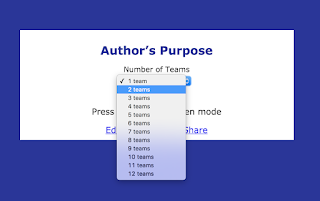 There is also a slide for "PIE'ED" in which you can add in explain and describe. Questions AND answers are all ready to go! Click either image to take you to this game. 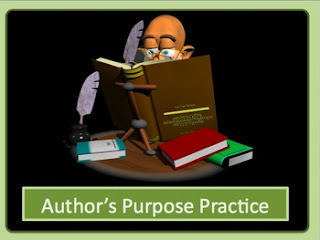 What sort of activities do YOU use in your classroom to reinforce author's purpose?